What tolerance should be used for a PQ Performance Qualification on Transmission Color Measurements? 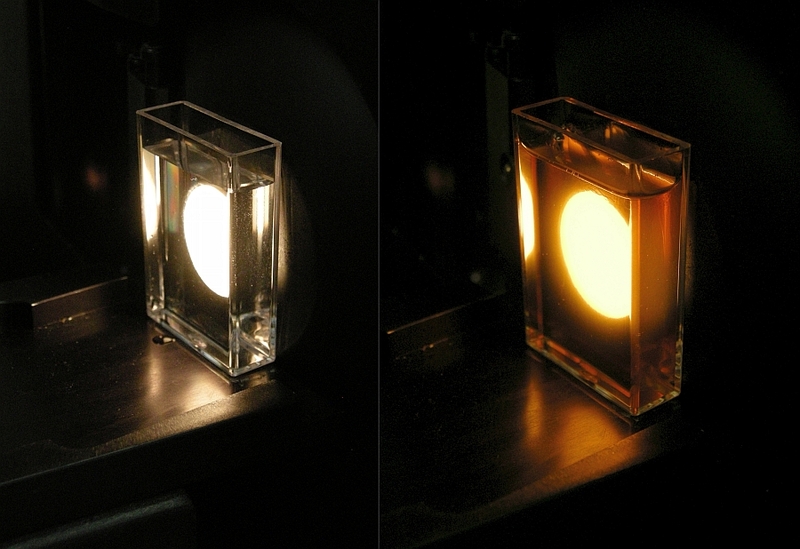 The Light Blocker serves as a physical reference for bottom-of-scale that sets 0% transmission across the visible spectrum. The top-of-scale is a physical reference sets 100% transmission across the visible spectrum. We also ask for the white standard tile to be placed at the reflectance port to fill in the sphere. If standardizing in TTRAN transmission for transparent solids like plastic plaques, the top-of-scale standard is typically AIR. This is what is at the TTRAN port against the sphere. If standardizing in TTRAN transmission for transparent liquids, the top-of-scale is typically a transmission cell of some fixed path length filled with DI water. As a PQ (Performance Qualification) check, independent of the instrument, we advise clients read back the top-of-scale standard as verification that the instrument is ready for measurement. 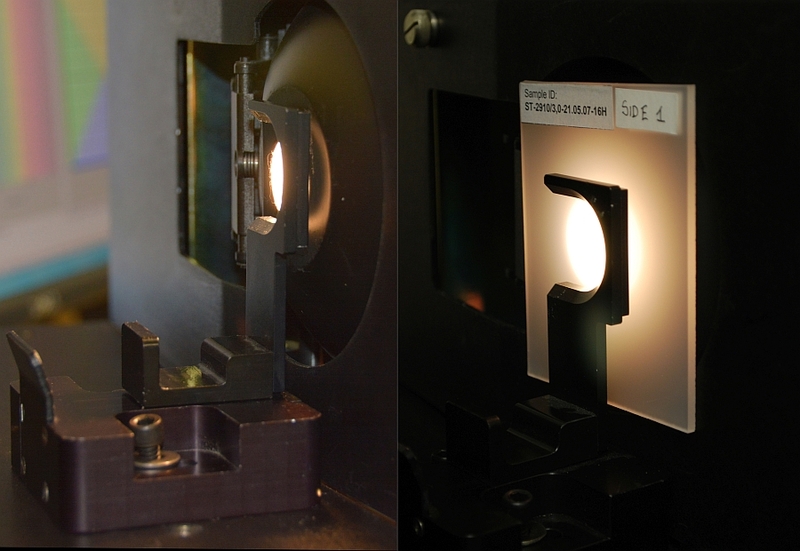 For transparent solids, the instrument is standardized on Air as the top-of-scale standard. Read back Air as a PQ Performance Qualification step to verify the instrument is set up correctly before reading samples. For transparent liquids, the instrument is standardized on a cell of defined path length filled with DI water as top-of-scale to negate the cell and solvent effects. Read back the cell + DI water as a PQ Performance Qualification step before reading samples. In transmission standardization, the instrument is forced to the top-of-scale (air for solids; cell + DI water for liquids). If the operator reads the top-of-scale back, the measured values for 100% transmission should match CIE L* = 100, a* = 0, b* = 0 (Yellowness Index = 0, APHA/Pt-Co = 0 if using) closely. You raise the question of what is meant by “closely”. The metrics in our software are typically reported to 2 decimal places reflecting the degree of precision possible with the instrument. Ideally, on a PQ read back of top-of-scale, the measured values would be CIE L* = 100.00, a* = 0.00, b* = 0.00 but this requires some qualification. If you are standardizing on AIR as top-of-scale and using the largest area of sample view (LAV), this is what you would typically get on a PQ read back using a HunterLab sphere instrument, although a round off of +/- 0.01 is possible. If you are using SAV (Small Area of View) which has less optical area averaging of the sample view, you could be up to +/- 0.02 or 0.03. If you are standardizing on a cell filled with DI water, then the measurement is made through two glass or plastic windows of the cell, plus transmitted through DI water. This refraction can lead to some additional light bending on the PQ read back of cell + DI water versus AIR. Although typically it should be less, it is possible that an operator could see a PQ variation of as much as a 0.04. In addition, if the customer is using a micro-cell holder that has front and back optics in the holder that shrink the bean diameter to 2 mm, along with the effects of cell and DI water, this can lead to more light bending in the path independent of the sensor performance. For this situation, I typically suggest a PQ read back tolerance of +/- 0.3 in CIE L* = 100, a* = 0, b* = 0 target with L* typically showing the highest variation given the magnitude of the L* value. Remember that this PQ verification step is not a performance test of the instrument – there are separate diagnostic tests of the sensor built into the software that can be run to verify instrument performance. This PQ Performance read back of the top-of-scale standard is a test to verify that the operator has set up the instrument and standardized correctly in preparation for transmission measurements. That is, the operator and instrument are “performance qualified” to continue to make sample measurements if they read back the top-of-scale transmission standard “closely”. As this test is outside HunterLab sensor performance, the customer can establish their own PQ tolerance based on the way they are making their transmission measurement, or if they would like HunterLab to make a recommendation, +/- 0.3 in CIE L* = 100, a* = 0, b* = 0 should take care of most cases. If the PQ read back is beyond that level, the operator should re-standardize and run the PQ test again.